On Saturday evening March 30th join us for an evening filled with laughter. You’ll walk into our gymnasium (2524 W. Altgeld) and see an assortment of SNL’s best costumes! Sponsorship and donor opportunities are available at a variety of levels! 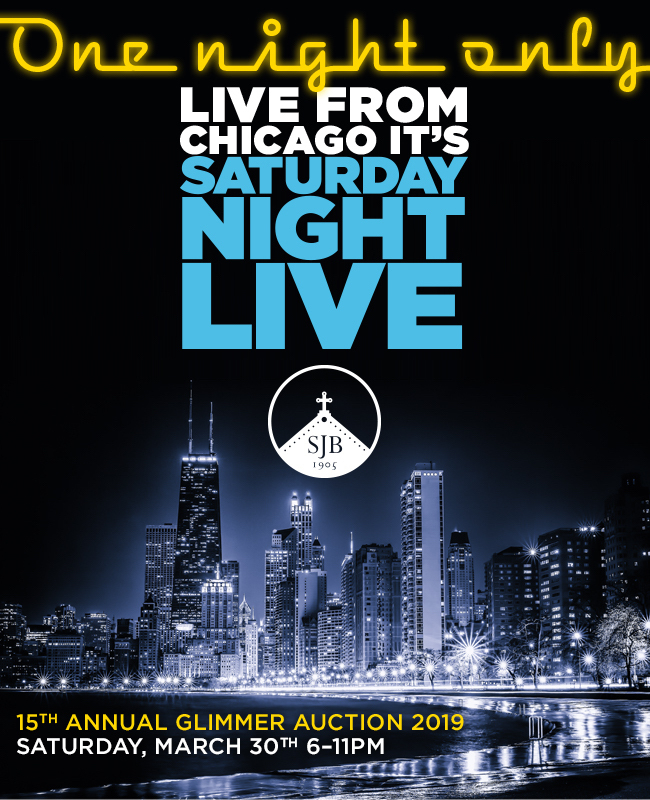 If you’d like to help underwrite this year’s event and make sure all the dollars raised go right back to the students of SJB, contact Gabriela Herr at [email protected]! Details about sponsorship are outlined below. Do you have questions about this year’s event? Or would you like to help? Contact our Director of Events, Gabriela Herr at [email protected].